11 woven fabrics with strapped patterns called Lurik are displayed at Sarinah Shopping Center, Jl. MH. Thamrin, Central Jakarta in Pekan Lurik Indonesia event. Those fabrics are several collections from Jakarta Textile Museum.
" There is a lot of interesting activities in this event"
Jakarta Tourism and Culture Department (Disparbud)'s Art Museums Management Unit Head, Esti Utami conveyed, Jakarta Textile Museum's collections displayed in this event are Lurik Dengklung, Telu-pat, Kinanti, Udan Liris, Bribil, Kumbokarno, Kencono, Liwatan, and Lurik Tumbar Pecah. "Patterns in Lurik woven fabric are rich in philosophy and heritage," she said, Tuesday (3/19). Wastraprema Institution Deputy Head, Sri Sinta Sari Iskandar mentioned Pekan Lurik Indonesia is held on March 19-31, 2019 from 10 AM to 10 PM. This event is the collaboration of various aspects that related to education, culture preservation, development and economy. "People should come! There is a lot of interesting activities in this event, such as Lurik Market, workshop, fashion show, sharing, and art performances," she conveyed. According to him, Lurik woven fabric is seen as the classic timeless fabric. It is loved even by millennial generation and used as modern fashion material. 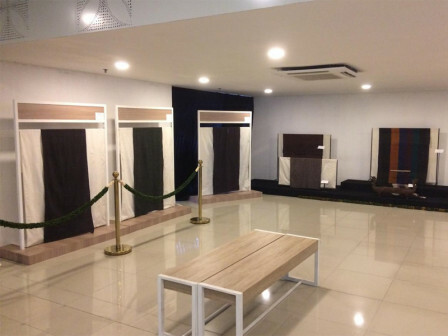 "We hold this event in shopping center to encourage young generation to be more interested in Lurik fabric as one of our cultural heritage," she stated.